London Printing 1853 (July 1): 10 c. deep bright blue on yellowish paper, wmk. pos. 1, a fine unused example with ample to large margins all round and portion of adjoining stamp at top, of rich colour and impression, fresh and very fine unused without gum. 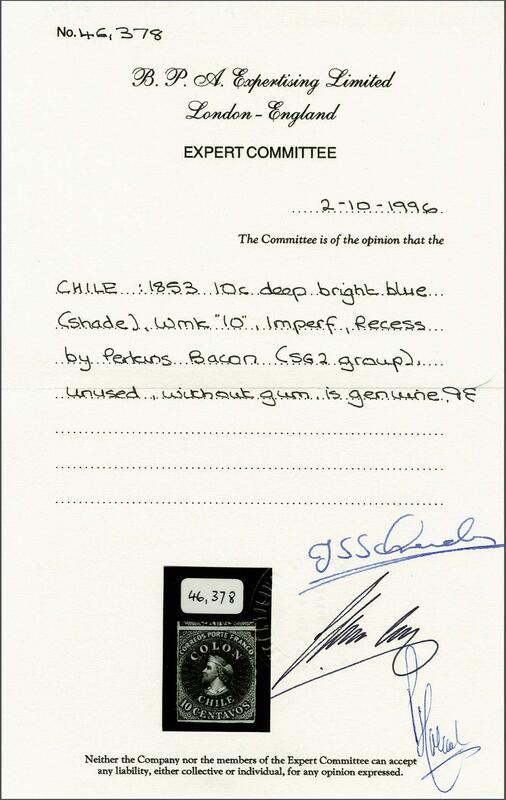 A marvellous and extremely rare stamp. Signed Calves. Cert. BPA (1996) Gi. 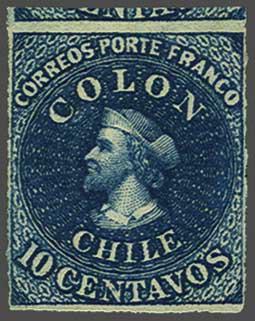 2 = £ 425/Scott = $ 1'000.rnProvenance: Collection Joaquin Galvez, Corinphila sale 62, May 1979, lot 3043; Collection 'Islander', Corinphila sale 95, Dec 1996, lot 782.